For all JCI Members over the world, this has not been an unknown phrase; the Impact of One! The month of September was declared as Impact of One month and members all over the world where encouraged to play their part and create that Impact in their very own way. I have to say, as a firm believer that the Impact of One is far greater than some of us imagine, I was very pleased with this call for action. Although I have tried to create some Impact, I am not sure yet whether it has been successful or not; but that’s not the point, since in this post I will not be talking about what I did. This post is dedicated to one of my friends who, now ten years ago, really created an Impact that is still have some positive spin-off effects. About ten years ago, I met with Charles Chritchlow, now Past President of JCI Western, a LOM that we used to have in my hometown Nickerie. I just returned back from Paramaribo, where I quit my study at the University and was working at a ICT company. We had a nice talk and then he invited me to a meeting of this organization called “Jaycees”. I didn’t know anything about it, but still I went to see what these guys were doing. After all, I didn’t have anything to lose. So I went to this meeting and the next year I was secretary of the board, headed by Charles Chritchlow as Local President. Now, after ten years I can proudly say that Charles Chritchlow really showed how big the Impact of One could be! By introducing me to this organization, he indirectly played an very important role in the lives of so many others. Almost daily I receive emails from JCI members and others from all over the world, asking for some little advice, sharing good news and sometimes even ask my opinion on some great adventure they are about to embark on. Could you say that is an accomplishment of myself? Maybe you could say that, in some way….but I would have to say, it is an accomplishment of Past President Charles Chritchlow, who took that step, ten years ago, to invite me to one meeting. Yes, all these friends of mine who get inspired by my thoughts, words and actions are in fact enjoying that Impact created by that one person, who was the real catalyst of all the inspiration and motivation people think comes from me. Having said this, I truly realize what big responsibility I have. I will need to be a catalyst to another range of successes, inspiration and motivation. I will need to inspire someone enough to give him (or her) the strength to start inspiring others across the globe. I need to create my own Impact of One……. On July 11th 2010 I will be celebrating my 32th birthday. One of my goals for this day is to raise $ 1.000,- for the Nothing but Nets campaign to help people in Africa to be protected against Malaria. Malaria is a big threat in Sub Saharan Africa, where it kills one child every 30 seconds. This is a major project, and I would really like to ask you , as an caring active citizen, to support me, JCI and Nothing but Nets (a UN program) to help getting more mosquito nets to Africa. This is how you can support: Millions of people die each year from malaria – but there’s a simple, life-saving solution, and all it takes is $10 to buy a bed net, distribute it to a family, and explain its use. For more information on how YOU can participate in Nothing But Nets, please visit us at www.NothingButNets.net. Visit www.jci.cc to learn how young people around the world are working to create positive change. The weather is nice, people are beautiful and friendly and the congress is a great experience! I’ve had a great time, conducting JCI Achieve, JCI Presenter and Creating Balance. Especially the Creating Balance was a nice experience, since I’ve done this course again after longer that a year. My inspiration for conducting this course again is because of the great amount of feedback that I have been receiving this year, from trainers all over the world who have been downloading this course from the JCI Training Gallery. As I mentioned in a previous post, this course was translated into French by Abou Guindo from JCI Mali and into Turkish by Erdem Türsen from JCI Turkey. Possibilities are there that by the end of this year this course will also have a Spanish translation. For those interested in some pictures….check out my Facebook page by clicking here. This weekend has proved to be a very rewarding weekend in Antigua. I’ve enjoyed my stay there, in the beautiful mansion of JCI Antigua Past President Senator Harry. As always I’ve enjoyed the Caribbean hospitality, fellowship, and the limin’. Glad to have made some new friends, who I hope to be meeting in future events, and ofcourse excited to meet my old friends from the beautiful island Antigua. I have a good feeling about both the seminars I did (Managing Creativity on Friday and JCI Presenter on Saturday). I’ve had a great assistant trainer in Past NOM President Faye Edwards and excellent logistic assistance from my very good ‘n lovely Antiguan friends Alicia and Delacy. Ofcourse I can’t forget to mention the sightseeing tour that I got from Alicia, Delacy and Brenda. That was very very nice! 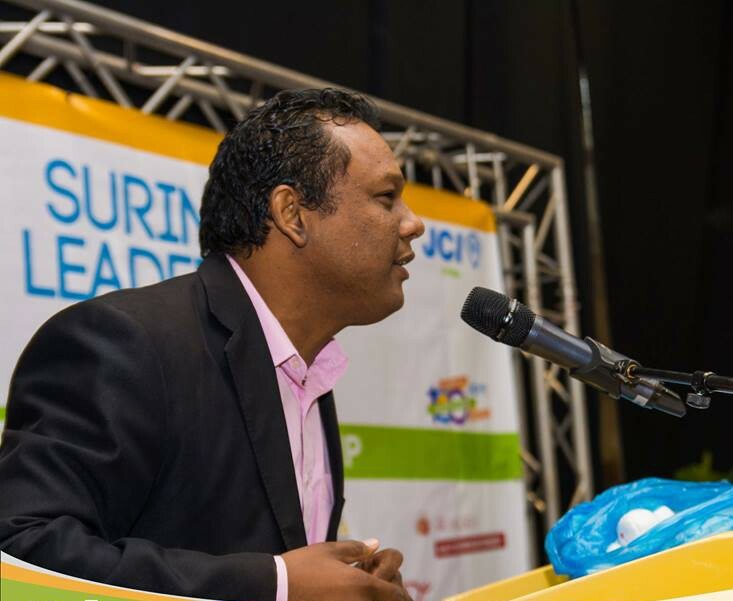 Thank you JCI Antigua, Delacy, Alicia, Brenda, Senator Harry and all other members….I really enjoyed it, thanks to you all. Have to start packing again. I am already enjoying, just thinking about my friends I will be meeting and of course the new friends I will make. In a few days I will be heading to Antigua, for a short 3-day visit to conduct the JCI Presenter course. I really look forward to visiting Antigua, as I have a lot of friends there and I expect to have a wonderful time there. The next trip after my Antigua visit will be the JCI World congress, in Hammamet, Tunesia, where I am invited to conduct the JCI Achieve course and one of my own trainingpcourse, Creating Balance. In my last post I wrote a bit about the Creating Balance course, which was gaining a lot of popularity. I hope I will be meeting some of the trainers that downloaded the course to conduct it within their LOMs/NOMs to share some ideas that I could use to improve this course. I can already see myself walking around in Hammamet……hope to c u there 2!